Farms affected by power outages in the McKinlay Shire, north-western Queensland, can now go off grid – through a new solar+storage containerised solution from Germany’s Intech. 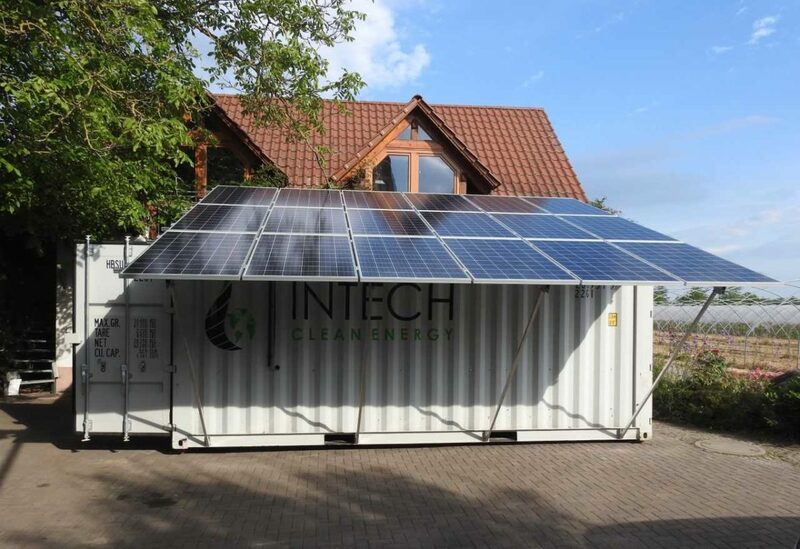 Available from 5 kW to 300 kW, Intech’s off-grid hybrid containers are connected on site to photovoltaic panels that can be ground-mounted and/or located on the roof of the energy container. Small systems are big energy steps for populations in underserved rural areas, as access to cheaper, reliable and sustainable energy directly translates into improved quality of life for many. Farmers in Queensland’s McKinlay Shire are now expecting a shipment from German off-grid provider Intech, which will make it possible for them to switch from the single-wire earth return (SWER) line networks. A 21 kWp photovoltaic system, a standard rooftop inverter, three off-grid inverters, a battery bank with 60 kWh capacity and a 20 kVA emergency generator have been packed in an energy container, which Intech is now ready to deliver. The whole shipment has been tailored to local needs, and has been designed to quickly scale. Thus far, farmers in northwestern Queensland have been dependent on the SWER grid. It utilizes single transmission lines that supply single-phase electric power from an electrical grid with the earth used as the return path for the current. Since these are often overloaded and prone to failure, the large local farms are powered mainly by emergency generators with expensive diesel fuel. This has, consequently, stalled the local economy, prompting the McKinlay Shire Council to reach out to Intech. Rural solar+storage electrification efforts are developing momentum. Earlier this year, Western Australia regional and remote grid operator and utility Western Power ramped up its program launched in 2016, announcing a tender for up to 60 stand-alone power systems within the South West Interconnected Network, including solar and battery storage supported with backup diesel generators.